We wanted to make a project that celebrates Australia and New Zealand’s history and gets people interested in our own culture and heritage. There is a wealth of information out there about our ANZACs, early settlers and so on. However, it can be overwhelming to digest it all just by casually browsing through the data. So we decided to turn the experience into a game that helps citizens of today to identify with particular people from our past. We are also very keen on crowd-sourcing data collection from the general public and we thought this particular project could have the added benefit of encouraging and promoting this type of activity. The project is essentially a quiz. Have you ever done an online quiz such as “Which Game of Thrones character are you?” or even “Which flavour ice-cream are you?” These styles of quiz that match an individual to a particular person or entity are quite common in social media and are widely used by people of all ages. Our project is much like these except it uses open data and relates people to historical figures (which incidentally, we think is much more interesting and engaging than being compared to a celebrity!) The quiz is presented as a series of web pages to gather information about the person. The results are then queried against real ANZAC profiles made available through open data and the user is directed to their match on the Discovering ANZACs web site. Users can then share their matched ANZAC profile on their facebook page, twitter or email and invite their friends and family to play the game too. This project is for every Australian and New Zealand citizen that might have a few spare minutes to play a game while waiting for a bus or sitting in a doctor’s surgery. We hope they will find it fun, insightful and that it will spark their interest in our rich history. The data we used for this project was the National Archives of Australia series B2455 and the profiles available on the Discovering ANZACs website. We first attempted to use the API to query the archive data but we found that it was lacking in search capabilities for our particular purpose. So instead we extracted a subset of the data for our proof-of-concept project. Given more time and additional enhancements, we would very much like to integrate directly with the API to take advantage of the entire “live” database. As an added benefit we hope to enrich the NAA dataset by advertising the fact that users are able to contribute to the archive data by transcribing digitised copies of original ANZAC documents. Many hands make light work and this could be a great way to get our National Archives data up to date! 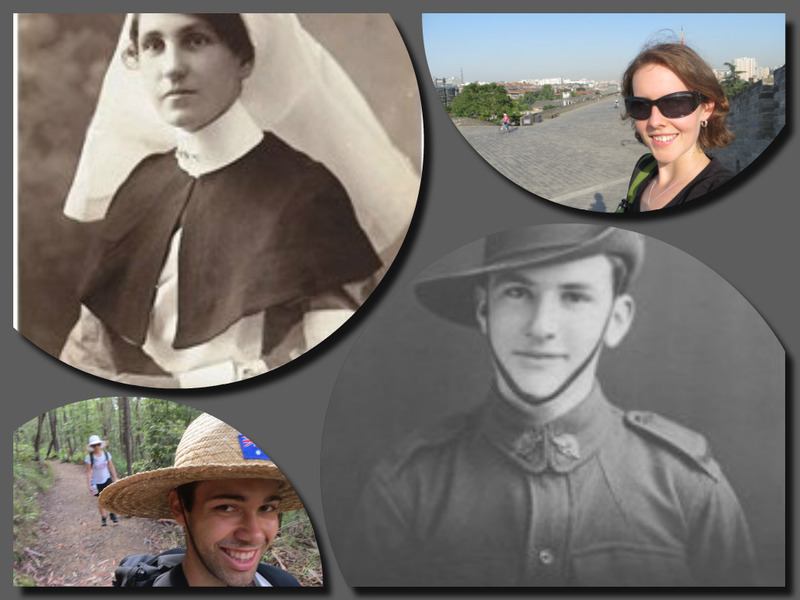 In addition to NAA’s ANZAC data, we believe our project has the potential to integrate with a variety of historical open data sets made available by federal, state and local governments across Australia and New Zealand. For example, we could create similar quizzes that match people to profiles contained in: Queensland Government’s QSA and SLQ datasets; the Australian War Memorial API; Ballarat’s Historic Urban Landscape; and the NZDF Personnel File List. Our Hack is a web application which is designed to run on any device. The technology it's based off is shown below.